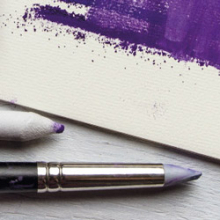 Painting with soft pastel is the closest thing to painting with pure pigment. Colour glides onto the surface and can be blended and modified with your finger or a tool such as a colour shaper. 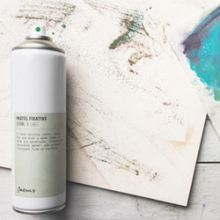 Hard pastels offer crisp lines and a great degree of control. 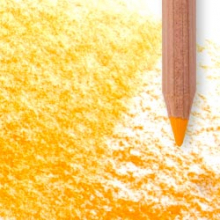 Oil pastels have a softer, waxier consistency that can also be blended. 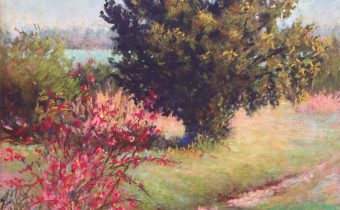 This pastel department incorporates the many variations of this drawing and painting medium. 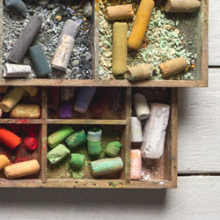 Working with the very best soft pastels feels like drawing with pure pigment, in all its vibrant, chalky glory. 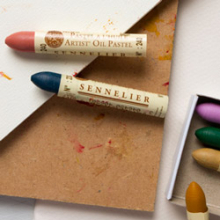 Oil pastels combine pigment with wax binders, creating a versatile medium that offers blendable texture. 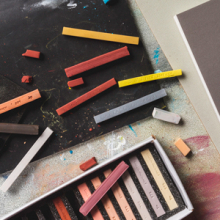 Pastel pencils allow you to enjoy the expressive qualities of soft pastel in a pencil form - perfect for precise, detailed marks that can be blended and smudged too.Is pastel a drawing or painting medium? The answer is both! They’re unique in their qualities and fall between the two. 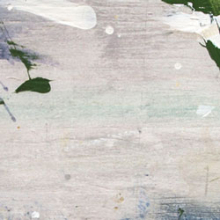 The high pigment concentration in the finest pastels rivals what you’d find in the most vibrant oil or acrylic paints. 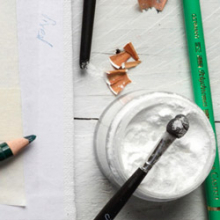 Their versatility allows you to draw chalky lines and also apply flat areas of colour than can be blended and layered over one another. 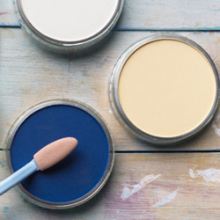 Pastel painting sets make it quick and easy to acquire a number of colours to get started. 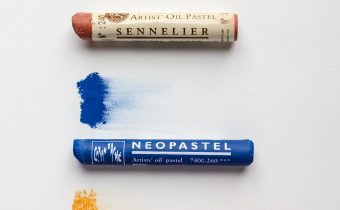 There are literally thousands of colours to choose from by world-renowned brands including Unison, Schmincke, Conte, Sennelier, Pan Pastel, Daler Rowney, Caran d’Ache and our own brand Jackson’s.Pastel artists can apply their colour with their fingers, but there are an array of pastel blending tools too. 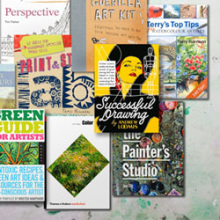 These can help to control the medium and expand the potential for expressive mark-making. 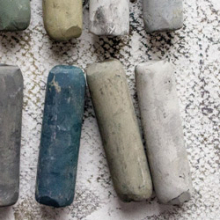 Paper stumps and tortillions are simple, invaluable tools for pastel artists. Silicon colour shapers and blenders are available in different softnesses, shapes and sizes. From chisel tip to round point, and they’re capable of a wide range of effects. 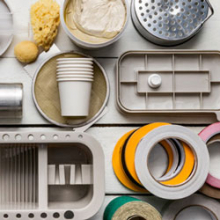 Pan Pastel sponge applicator tools help to achieve the softest transitions of colour.Pastels can be applied to a range of pastel papers and pastel cards. 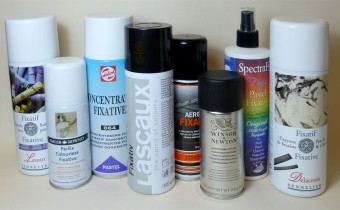 We stock the very finest including Sennelier, Canson, Hahnemuhle and Murano. 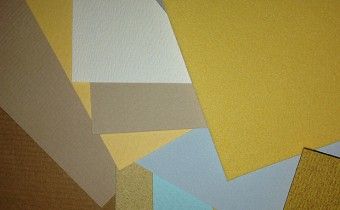 The texture of gritted sandpaper like paper and card is designed to hold the colour in place. Less heavy textures such as the ribbing of a laid Ingres paper will also hold colour in place, but is less abrasive. 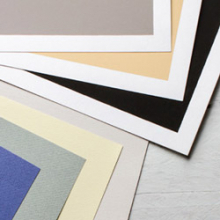 The soft micro-fibres on the surface of velour pastel paper help colours glide and enhance blending effects.